Lip Spoiler Repair Vs. BRIDJIT Curb Ramp: Which One Offers the Most Value? Where Do Old Tires Go? 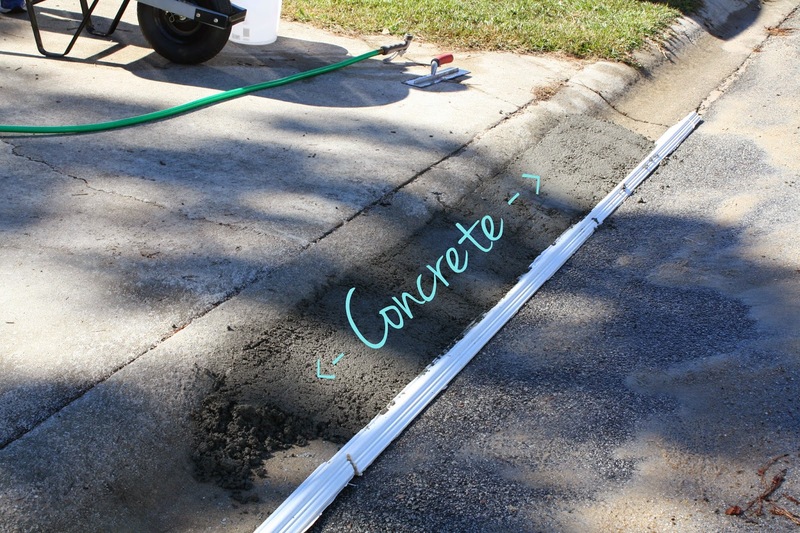 Now that we’ve established that building an asphalt ramp at the end of your driveway isn’t a great idea, let’s talk about DIY concrete ramps. A lot of people like the idea of installing a concrete ramp to bridge the gap between their driveway and the road. It’s a cheap and easy project, but is it really a good idea? Most DIY concrete ramps are poured on top of concrete that's already set. As a result, the concrete ramp never really bonds with the existing curb and gutter. The lack of a bond lets water get between the ramp and the existing concrete. The freeze/thaw process will eventually destroy the ramp. Depending on where you live, that process could take a couple of years, or it could happen halfway through the next winter season. Typically, concrete ramps are poured with a sharp edge on each side. While this makes sense from a construction perspective, it causes problems for anyone trying to park or drive along the street edge. For instance, the USPS letter carrier, UPS driver, FedEx driver, and a few others will not like your ramp. Also, these vehicles can hit the ramp hard enough to break off a piece at the corner (where the concrete is fairly weak). And if you have a snow plow drive down your street that hits your ramp, it will likely be obliterated. If your city has an ordinance against concrete ramps, they'll issue you a fine and require you to remove the concrete you poured. If removing the concrete damages the curb and/or gutter, the city could also make you pay to have it repaired. This small and simple project could easily turn into a gigantic headache. The bottom line is that building a DIY concrete driveway ramp isn't a great idea. It's worth considering other options, like a BRIDJIT curb ramp. Last forever: BRIDJIT curb ramps are made from recycled tire rubber. They can withstand all kinds of weather and heavy, jarring impacts (such as large trucks driving over them alongside the curb). These ramps will not degrade over time, meaning they can practically last forever. Can be left out for long periods of time: Recycled tire rubber is heavy and durable. Your BRIDJIT curb ramp won’t fly away or degrade from extreme weather conditions. Do not obstruct water flow: BRIDJIT curb ramps are built with full-length waterway underneath to allow for proper drainage. Likely won’t cause issues with the city: Since BRIDJIT curb ramps don’t interfere with drainage or vehicles driving near the curb, your city will likely allow you to have one at the end of your driveway. In the rare occurrence that the city has an issue with a BRIDJIT curb ramp at the end of your driveway (as they would with any other type of curb ramp), you can easily remove it and store it in your garage. Can be removed any time: Unlike concrete ramps, you can just pick it up a BRIDJIT ramp and move it to your garage. Learn more about the benefits of owning a BRIDJIT curb ramp here.